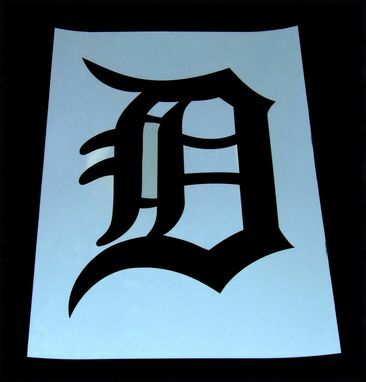 Mylar stencil of the Detroit themed logo. 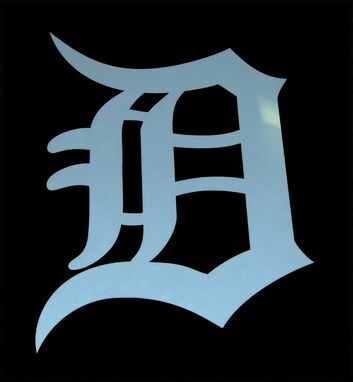 The image was provided by the buyer which they are using as their logo and resembles a fancy font. It was then retouched and converted into a vector format suitable for the laser cutter. Buyer requested that the logo not be cut out in the standard format using bridges to connect all stencil pieces. Instead, all pieces were cut out and supplied to the buyer, including the normally discarded pieces. The image was cut out of 7.5mil mylar which is reusable. The height of the stencil is 16 inches with the width to proportion. The stencil logo and the cutout pieces were provided.